A true whitening skincare revolution, the new Age-Defying & Brightening Serum provides complete action on pigmentation disorders that both are melanin-related (due to UV light exposure) and non melanin-related (due to ageing and glycation*). Immediately, skin regains its radiance. Day after day, dark spots fade. The complexion has never looked so luminous, so even and so immaculate. Because dazzling, youthful skin means a flawless, radiant complexion, free from pigmentation marks, Orchidée Impériale combines the power to combat signs of ageing, boost radiance and even out skin tone. And now Guerlain’s Orchidée Impériale White Technology has been enriched for a youthful radiance that intensifies with each passing day. 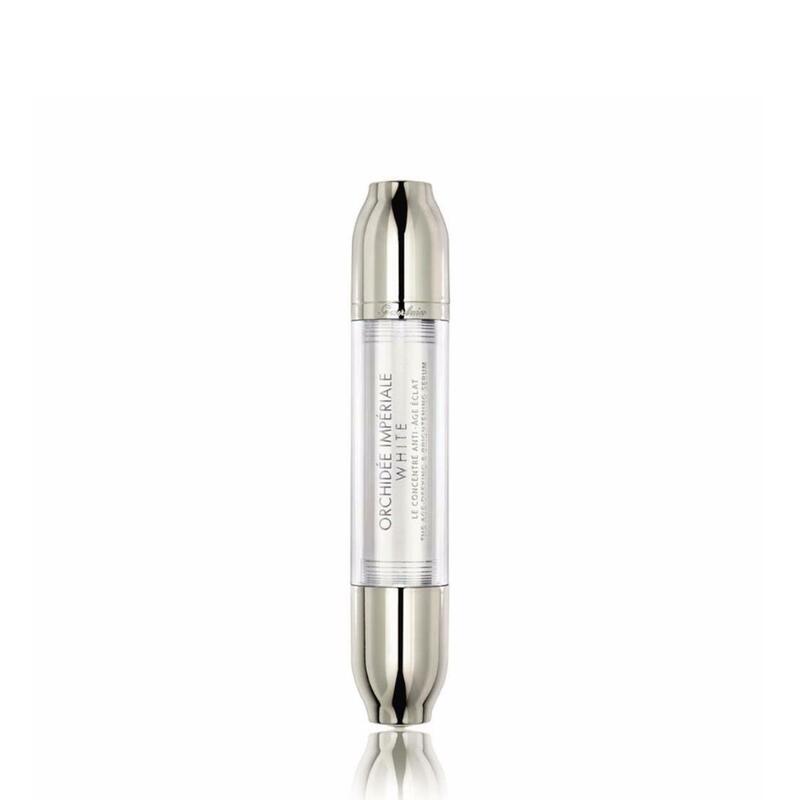 Apply The Age-Defying and Brightening Serum morning & night before The Cream. 1 Apply the product in circular movements. 2 Smooth your fingertips from the forehead to the ears. Perform 3 smoothing movements from the corners of the lips to the nose, ears and to the jawline. 3 Press down 3 times on the muscle attachment points indicated.